New Directions Publishing Corporation, 9780811216289, 235pp. 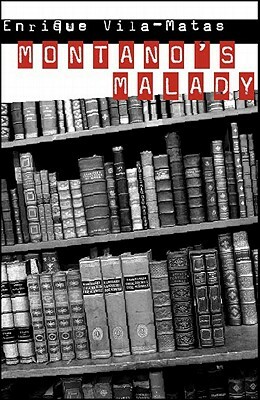 The narrator ofMontano's Maladyis a writer named Jose who is so obsessed with literature that he finds it impossible to distinguish between real life and fictional reality. Part picaresque novel, part intimate diary, part memoir and philosophical musings, Enrique Vila-Matas has created a labyrinth in which writers as various as Cervantes, Sterne, Kafka, Musil, Bolano, Coetzee, and Sebald cross endlessly surprising paths. Trying to piece together his life of loss and pain, Jose leads the reader on an unsettling journey from European cities such as Nantes, Barcelona, Lisbon, Prague and Budapest to the Azores and the Chilean port of Valparaiso. Exquisitely witty and erudite, it confirms the opinion of Bernardo Axtaga that Vila-Matas is "the most important living Spanish writer.